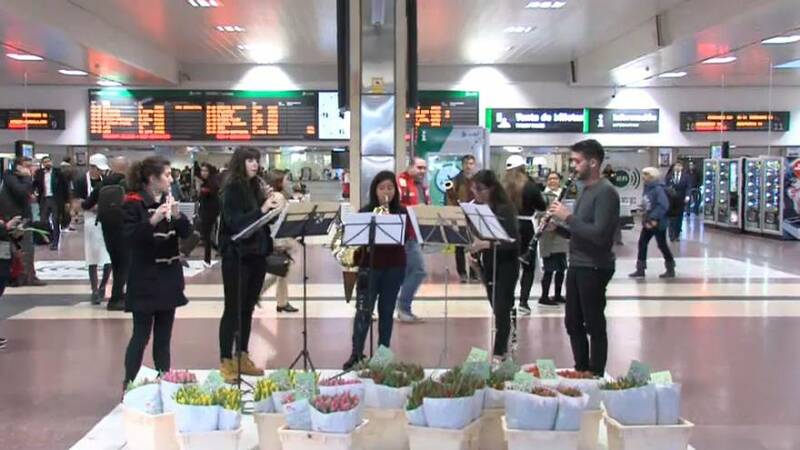 Commuters in Madrid Atocha (where terror attacks in 2004 killed almost 200 people) and Chamartin railway stations were surprised early on Thursday morning with music and flowers to celebrate the arrival of spring. Young musicians from Fundación Più Mossos performed some classical music pieces and showed their talent and skills to the public. Some others are pupils from the Escuela Superior de Música Reina Sofía (Reina Sofía High School of Music) and the Escuela Municipal de Música de El Escorial (near Madrid).